High black, stretch, multi fabric dress, 'Praise'. 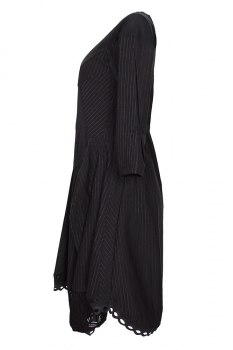 Round neck, with raw edged trim, the main body of the garment is in a pinstripe. Fabric insets throughout, quite geometric. 2 folded fabric pockets. Very full skirt with lace panels at hem. Three-quarter length sleeves. Drawstring with metal locks at rear. The rear has a single lace panel. 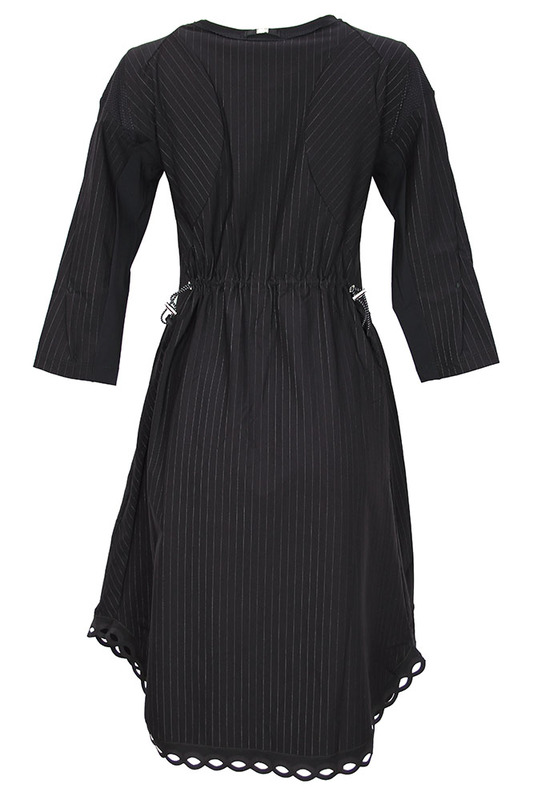 Sleeves with three fabric, airtex type, plain black and pinstripe. Beautiful dress highly recommended!